In this issue: Russian darkness, interstellar flight, monster hunts, and fights with knives—plus a new contest and reader’s poll! While out-of-time modern town Grantville has bounced back from temporal dislocation, some of its citizens haven’t coped so well with life in 17th century Europe–people like Bernie Zeppi, courageous in battle, but a bit of a loser in life. 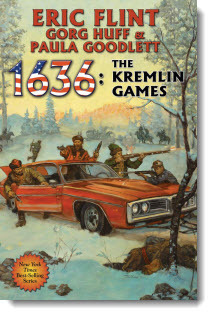 Bernie’s fate changes then a Russian emissary hires him to bring the future to a Russia mired in serfdom and on the verge of war. 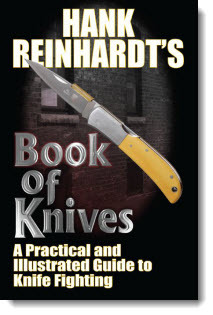 An encyclopedia of knives and a manual of contemporary knife fighting combined, this illustrated compendium creates a new standard as a cutting edge source on short blades and bladework. 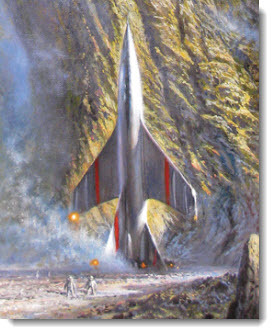 Compiled by long-time Blade columnist Hank Reinhardt, this is a masterwork by an acknowledged master. 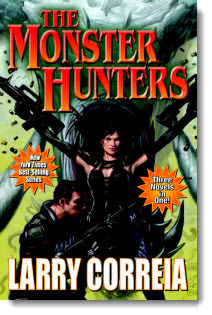 Bestsellers Monster Hunter International, Monster Hunter Vendetta, and Monster Hunter Alpha by Larry Correia, now together in one mega volume. 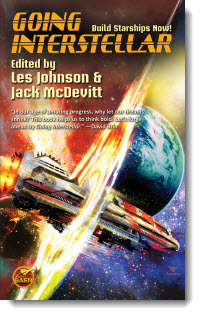 Baen Books is proud to present the free Teacher’s Guide to Going Interstellar, a wonderful resource in support of our new science and science fiction anthology on travel to the stars using resources available now. This excellent guide includes background material, loads of links, quizzes, and discussion topics. It should be of interest to teachers—and to anyone interested in plausible travel to the stars. 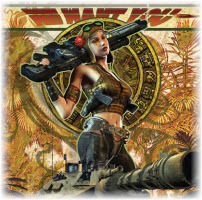 Check out all of our Baen Teacher’s Guides here. Planet Baen Seeks Beta Testers! Your planet. Your rules. Earn free ebooks. The Planet Baen game beta test enters its final two weeks. We particularly need testers to try to break the game’s Facebook gifting features! Beta test Planet Baen here. Solar sails, antimatter propulsion, rockets and gutsy resolve. Our contest this month celebrates the release of Going Interstellar, an all-original collection of science articles and science fiction stories by top scientists and award-winning writers. The theme: getting to the stars on technology humanity has now, or that we know how to develop. The new entry in the Bahzell saga arrives. Don't forget to check out the latest Ebook releases here latest Ebook releases, as well as Baen.com free heroic fantasy fiction by Book of Knives author Hank Reinhardt here. Plus: don’t miss our wonderful nonfiction piece that takes you on a grand tour of the solar system as we know it today written by Going Interstellar coeditor and NASA scientist Dr. Les Johnson here. 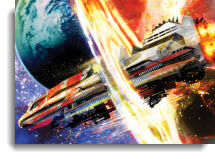 And finally, a revealing interview with Baen book designer Carol Russo here.